January can be a difficult month. The holiday parties are over. Winter vacation is over. We’re back to the daily grind. The promise of making grand New Year’s resolutions has morphed into the reality of actually keeping them. It doesn’t help that we are in the heart of winter battling the cold weather. I live in this boot! 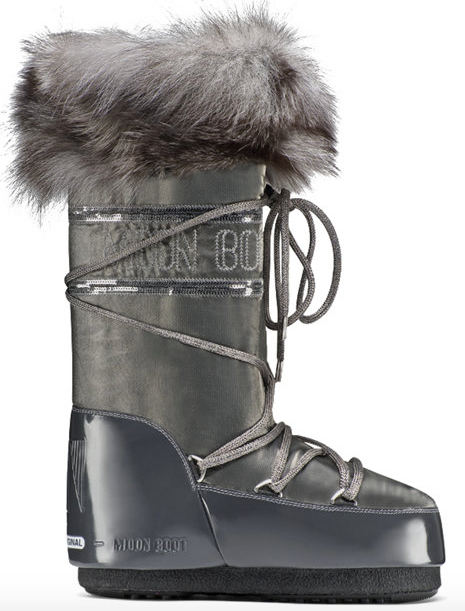 Pair this comfortable, durable boot with everything from skinny jeans to sweater dresses. 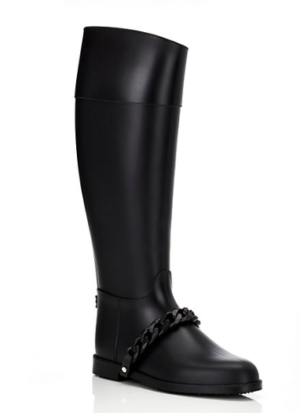 It is one of the few rubber boots that can be reasonably dressed up. This is one of my favorites! 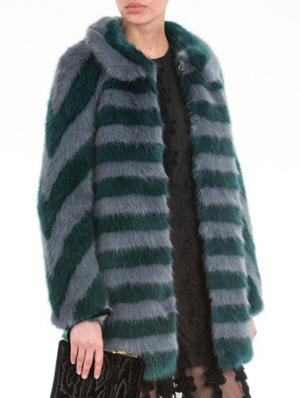 It is equally luxe and cool with fur lining that is to die for. And it is perfectly oversized to wear over sweaters without appearing bulky. Not just your average legging! Elevate your legging collection with this new, on-trend velvet pant legging. 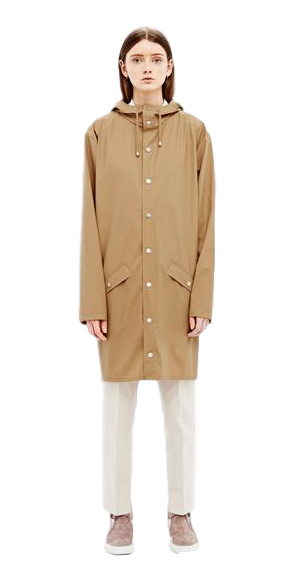 This a great line for rain gear! 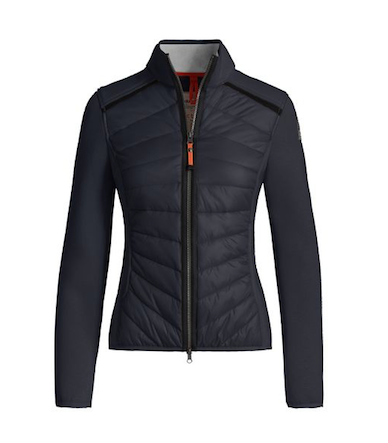 Their coats and accessories are waterproof, light weight, fashionable and reasonably priced. Cuffs are a fun way to mix up your look! Catherine Osti has a great selection of cuffs that can be paired with your favorite sweaters, blouses and jackets. A cool cuff can make the black turtle neck you’ve worn three times this month new and dressier. 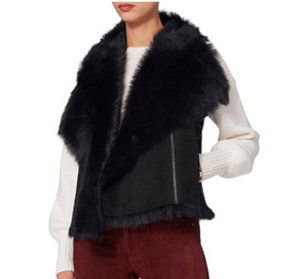 This fun, trendy line of faux fur is perfect for anyone who is anti-fur or doesn’t want to splurge on the real thing. One of my favorites for the snow! I bought them skiing as a kid and in Colette as an adult. They are fun, warm, comfortable and make your foot look small. 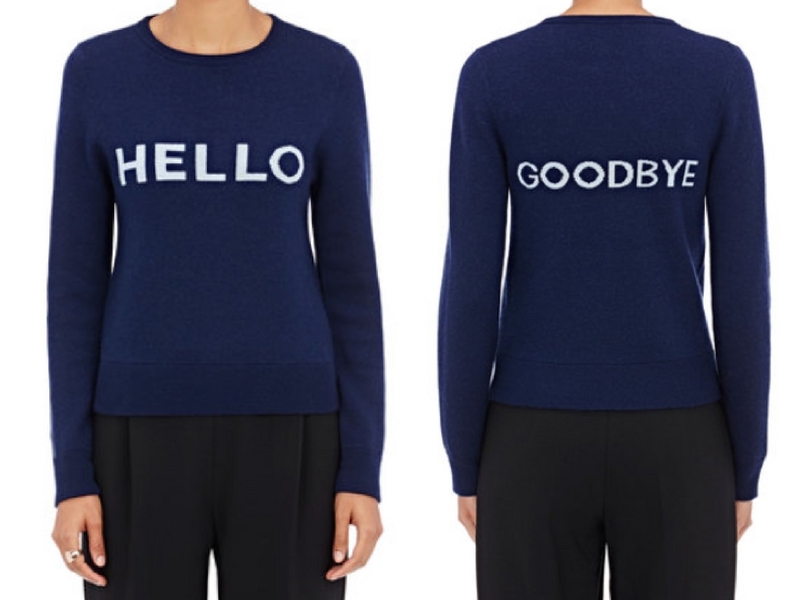 The Hello/Goodbye sweater just kills me! It will put you in a good mood every time you wear it and is a great conversation piece. Plus, the cashmere is beautiful. Her hats are so cool and warm! Each hat is handmade start to finish and she offers a huge selection of styles and colors. Mix up your look by removing the fur balls. It’s time to retire the Patagonia fleece and invest in a sophisticated fleece that is also slimming, warm and good for layering. 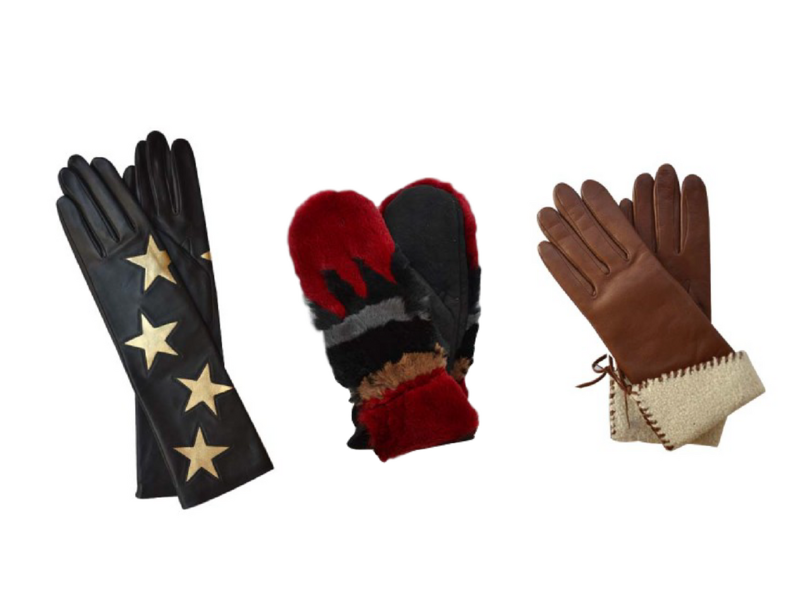 Beautiful craftsmanship and quality gloves that make a statement! I like that they offer cool gloves, trendy gloves, lady gloves, and much more that you won’t see everywhere. 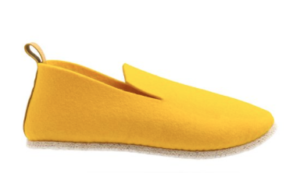 I found these slippers last month at Merci in Paris. I have worn them everyday since. I love the shape and colors. I have navy and yellow is next on my list! This is one of my favorite options for a leather pant. Great fit, quality soft lamb leather and good color options. Whether you invest in a few key pieces or overhaul your winter wardrobe, dressing your best will always make you feel HOT, even in the winter cold.